For a few decades, jet packs seemed to be everywhere: on Gilligan's Island, Lost in Space, Thunderball and even the opening ceremony of the 1984 Olympics. Inventors promised we would all be flying with them now, enabling us to zoom around effortlessly in the sky and getting us to work without traffic jams and trains. What happened to the jet pack? In this book Steve Lehto gives us the definitive history of this and related devices, explaining how the technology arose, how it works, and why we don't have them in our garages today. These individual lift devices, as they were blandly labelled by the government men who financed much of their development, answered man's desire to simply step outside and take flight. No runways, no wings, no pilot's license were required. Soaring through the air with the wind in your face and landing anyplace there was room to stand -- could this be done? Yes, it could be, and it was. 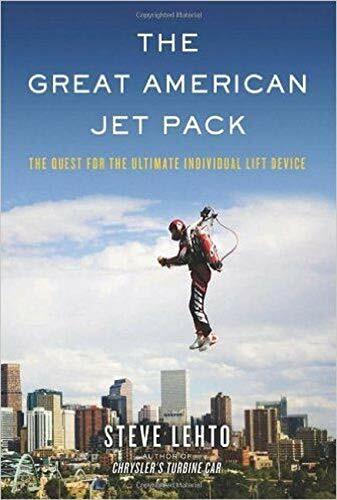 But the jet pack was perhaps the most over-promised technology of all time.From the rocket belt to the jet belt to the flying platform and all the way to Yves Rossy's 21st-century free flights using a jet-powered wing, this book profiles the inventors and pilots, the hucksters and cheats, the businessmen and soldiers who were involved with these machines. And it finally tells a great American story of a technology whose promise may, one day, yet come to fruition. Steve Lehto is the author of "Death's Door: The Truth Behind Michigan's Largest Mass Murder," a 2007 Michigan Notable Book; "Chrysler's Turbine Car"; and "Michigan's Columbus: The Life of Douglass Houghton."